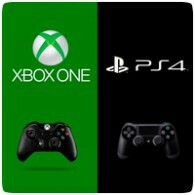 Both the PS4 and Xbox One require to install games on the consoles, but you’ll be surprised just how vast the difference in install times are between the two consoles. A video from Kotaku compares the PS4 and Xbox One in installing Assassin’s Creed IV: Black Flag, of which the results are astonishing. The PS4 takes just 42 seconds to install, while the Xbox takes almost 6 minutes with no updated, and a massive 10 minutes with downloading patches. Kotaku has also compared the install times for other games, including Need for Speed: Rivals, NBA Live 14, FIFA 14 and a few others, all showing similar results. With the six multi-platform games tested, the Xbox One took considerably longer to install a game than the PS4. The PS4 took less than a minute to install the basic game in every case (without patches). The Xbox One needed several minutes to install, which also included waiting for patches to download and install. On the PS4, the patches were downloaded and installed in the background, reducing waiting times and getting the gamer into games quicker. Obviously once the game’s content is fully installed future boot up times are much the same, regardless of console choice. The full list of tested titles and their install times can be found below.